Fly Fishing Bream - Where and When To Catch Bream? 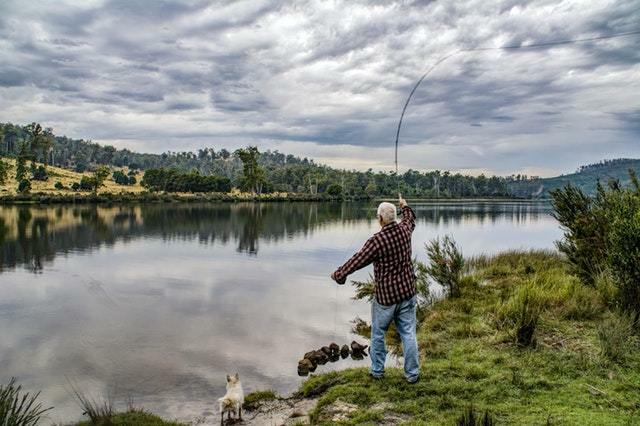 » Fly Fishing Bream – Where and When To Catch Bream? So you want to start fly fishing for bream? First, I will explain what bream is, for you that don’t know. Bream are all the species of fish that are in the sunfish genealogy. Bream or ‘brim’ which is how the name is pronounced down south are known by many names such as redbelly, bluegill, perch, crappie, shellcrackers, redear, yellow belly, panfish, rock bass, pumpkin seeds, and others. Fly fishing for bream is one of the most fun types of fly fishing an angler can partake in. There are so many different shapes and colors of bream fish which make it very enjoyable to fish for. These fish are plentiful in most of the bodies of freshwater in the United States and Canada. The side of the road brooks, streams running through pastures, rivers, ponds, and lakes you name it you will find these fish everywhere. You know you will catch some fish when you set out to fish for bream. 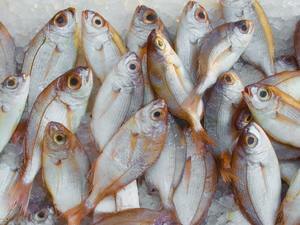 There are many bream flies on the market, and they go by a bunch of different names. Here is a short list of some of the bream flies out there. That’s just a few of the most popular ones. There are many more out there in various names. When and Where Can You Do Some Fly Fishing for Bream? Like I explained above bream can be found in numerous bodies of water all of this beautiful land of the United States and Canada. If you live near any body of fishable water, you will not have a hard time finding bream. The best time to going searching for these fish is when they are spawning. They will tend to congregate around weed beds, fallen trees, around docks and drop-offs. Bream usually stay in more shallow water like under 6 feet. You will want to cast your fly so that it lands about a foot or so from the areas I just mentioned and then you let the fly sit for a minute so that the sunfish can see it and then reel in slowly pausing now and then just working along the line your fishing. If you do this repeatedly, you will no doubt catch bream after bream with this method. Nothings guaranteed but your chances of good strikes are overwhelming as long as the fish are there. And if you don’t get any strikes within a few minutes move on and try somewhere else because if the fish were there, they would be striking right away. There are many different bream flies to use, and you will want to try different ones. Some of them you will want to ride above the water line and some of them you want to fish just below the water line letting them sink a little before reeling them in. Bream love that rainbow array of color the flies typical have on them. So don’t be afraid to experiment to get the right technique down and the right kind of bream flies to use in the process. Another tip is if your fishing the shallow water under 3 feet you will want to use dry flies and poppers. You keep these above the water, and the bream will typically jump out of the water to slap at it. This is fun to watch even if you don’t catch the fish, but most of the time you will snag the bream! Once you get fly fishing for bream in your blood, you won’t turn back. I remember when I was young about 8 or 10 a neighborhood friend of mine and I lived near a little brook that was down the road from my house. This brook was only about 2 feet deep in the deepest spot, and we would have a great time fly fishing for rock bass. We would catch our limit every day all summer long! Those are the memories I cherish that I will never forget. Epic article. 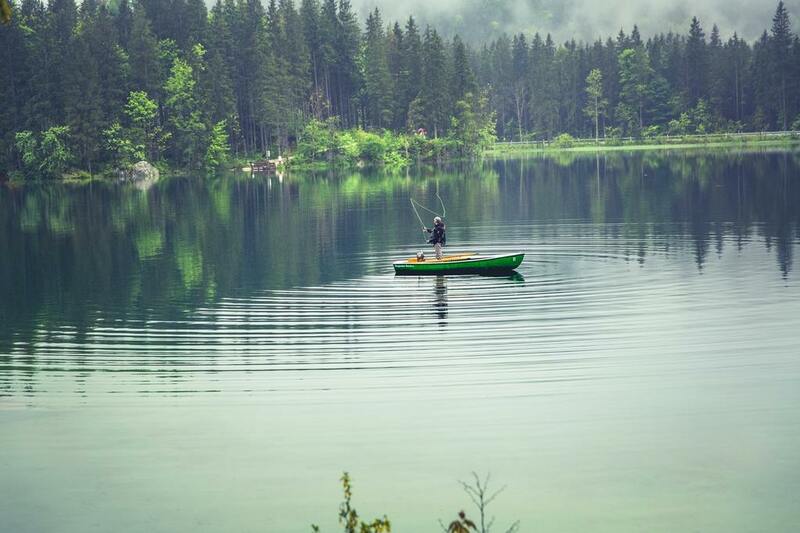 While I don’t have any real experience in fly fishing, I once thought the sport was simply a game of luck and a good way to immerse oneself in nature. It’s sweet that there’s an actual strategy to the game. I live in an area that’s rather rural and backwoodsy with a lot of great scenery as far as the eye can see. There are lakes all around plus the Ohio River, so I have a lot of family and friends who are into this and would definitely love some new strategies for the upcoming spring. Nice Review. I used to catch fish, mostly with net. My dad house is just about 12 meters away from a canal. I’m really good with using net, hook and other methods. Catching fish is really interesting and fun. I used to accompany my dad to sea for fishing with a speed boat full of net. My best time during that period was the time we caught a very big shark. It was a terrifying and adventurous experience for me. I like your review and all the steps you described. Fish can be easily fool but sometimes they act very wise. Yes, fish can be tricky to catch at times but with enough experience and the right baits and techniques, it can be an excellent pastime. Fascinating and informative. A close friend of mine has tried to get me into fly fishing. I think you just nudged me a step closer. Your passion really comes through and I appreciated the level of detail. One question, you mention that the best time to fish for Bream is when they are spawning. Did you mean a particular time of year? I imagine the answer to that question depends at least in part on where you are fishing. Thanks for the post, I really enjoyed it. The spawning process will vary depending on what part of the country you live in. In the US spawning will happen in the north between the months of May and August. In the south, it will start in February. Thanks, appreciate your getting back to me on that! This is an interesting post! I have just learned of a new fish called bream! From your description they sound absolutely delicious and are a great catch. I think that the colours and technique for catching them is also enough to keep you going for hours trying to get every detail right and trying to get different colours. I think that fly fishing is pretty great. I enjoy catch and release the most because it’s almost like you never interrupt the fish at all. Sometimes I like to honk that the fish will warn its friend so that they can give you more of a challenge:) I think that fishing’s is a great skill to learn becaus it really teaches you patience as well as respect for nature because you have to fight to eat just like all the other creatures. To fish for bream, wait until the months of April, May, and June, since bream spawn during the late spring. Then, look for a shallow and still body of water during the early morning or late evening hours. Next, bait a spincast rod and reel with small insects, such as crickets or nightcrawlers, to attract bream. Hey there! I was looking for some advice on catching crappie/bluegill and stumbled across your post. I’m assuming that the flies and tactics you recommend for bream will work just as well for these “sunfish” out here on the West coast? Also, do you have any recommendations on leader/tippet for these kinds of fish? In the past I have fished a fly with a bobber, and for the most part the fish seemed to care less about the line being visible. Of course, most of my fishing was during the spawn and those fish would hit just about anything! My all time favorite to use us the wooly worm. Actually tied a few of those back in the day and caught some bass and large crappie. However, I found most success using a small leach pattern. One other thing to consider (and this is kind of cheater as a fly fisherman)…I have been known to put a Berkley Gulp meal worm with a #14 or #12 hook…they go crazy for those little worms! Thanks for the post! Now I need to track down all the different bream we have in Oregon…and catch em. .Sunfish are considered bream so yes the flies and tactics I mentioned in the article will work. Thanks for the comments and happy fishing to you. Catch those Bream! I have never been able to get the hang of fly fishing, I live on the ocean and do a lot of surf casting for striped bass. Now that I am a grand father I was thinking about taking up fly fishing as a way to spend time outdoors with my grandson. I already have the rod but I was wondering what you would recommend I buy for my 9 year old grandson? I would recommend you get the Piscfun fly fishing rod and reel combo. 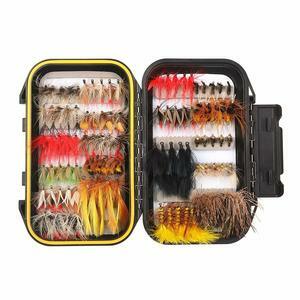 Its a complete fly fishing starter kit for beginners. You can get the kit at Amazon. Have fun fishing with your grandson! Fly fishing for bream is a standout amongst the best time sorts of fly angling a fisher can share in. There are such a large number of various shapes and shades of bream angle which make it truly agreeable to angle for. These fish are ample in a large portion of the assortments of freshwater in the United States and Canada. The side of the street rivulets, streams going through fields, waterways, lakes, and lakes and so on you will discover these fish all over. You realize you will get some fish when you set out to angle for bream. Well said. You can find bream in about any body of water that you fish. Its funny you end your article with a memory. When I started reading your article, it brought me back to about 20 years ago, fly fishing in a canoe on a freshwater lake with one of my good friends. The only difference is we were fishing rainbow trout, but it’s the same feeling, isn’t it? I mean when it comes to fishing, it doesn’t matter what kind of fish you are after, but rather the sport itself! Coming back to your article about bream, we do have quite a few lakes up here in my part of Canada that have different sorts of fish especially the rock bass, and I intend to try it out this spring and summer. Thanks for pointing out what type of fly I should use. Since it’s January and we have a ton of snow and ice on the ground right now, I will have plenty of time to pick up my gear. Very informative article, it’s now in my bookmarks! Thank you, Denis. It really doesn’t matter what type of fish you are fishing for. It’s the memories and good times you had fishing. Thanks for sharing your fishing memories!